Earlier this year I wrote about why the Civil Service must become an engine for social mobility. This ambition cannot be met unless we ensure that all civil servants, whoever they are and whatever their background, are able to rise to the very top of our organisation. But it is also crucial that we help those from outside our organisation overcome the barriers they face. That is why for the past three years we have been part of the Movement to Work initiative. 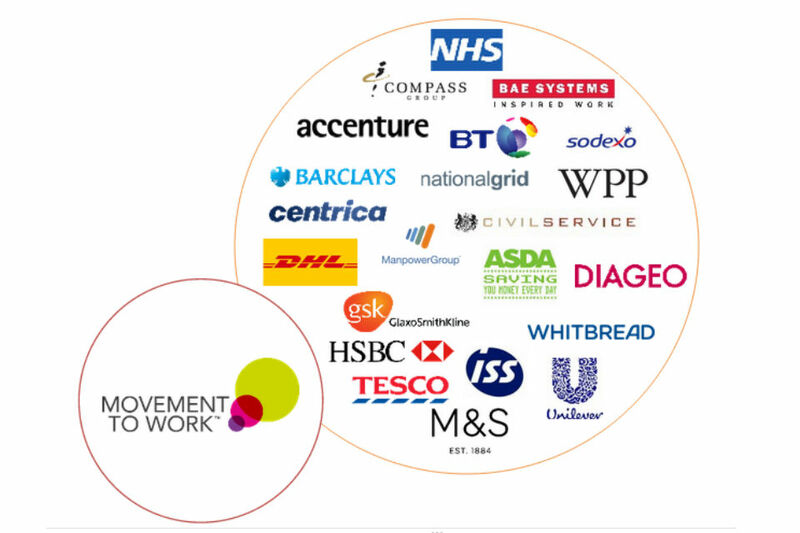 Movement to Work (MtW) was set up in 2013 to tackle youth unemployment by offering quality work experience and learning. Some of Britain's leading employers, including M&S, Accenture, Centrica, HSBC, BT and BAE Systems and, of course, the Civil Service, are part of the initiative. To date, 41,000 young people have taken part in MtW placements, with the majority going on to secure a job. How has the Civil Service been involved? As part of the national programme, departments across the Civil Service have collectively agreed to offer 6,000 MtW placements a year since 2014. Each placement lasts 4 to 6 weeks. During that time, young people participating in the scheme have the opportunity to experience the real world of work while gaining new skills that will help improve their job prospects. I am delighted to announce that the Civil Service has not only exceeded its target for the number of placements, but has also achieved significantly improved outcomes for the young people taking part. By tracking the destinations of participants, we know that, on average, 50% are no longer in receipt of benefits 13 weeks after completing their placement, with 58% having moved into work. That’s over 7,500 young people who have used their experience of working in the Civil Service to gain employment. ... it changed my life. ... I would still be going nowhere if it wasn't for MtW. ... I'm now in full time employment in the Civil Service. It was a great programme, and I would recommend it to everyone. ... the experience and skills that I learned helped me to get a job soon after my placement ended. We’ve again committed to offer a further 6,000 placements in 2016/17, and a record number of departments are taking part. Our ongoing focus will be to improve participants’ job prospects by continuing to build on the links between MtW and other Civil Service recruitment activity. We’ve already seen some MtW participants go on to Civil Service apprenticeships, and this is potentially a great - and more diverse - source of future civil servants. I’d like to say a huge thank you to those who have worked so hard to make the scheme a success, particularly Jobcentre Plus,who have operated the scheme for the Civil Service. If you want to find out more about the programme or think you could offer a young person a placement opportunity in your business area, please get in touch with your departmental HR team. Last week I took part in a Business in The Community event which involved helping recently released offenders and the long term unemployed improve their CV writing and interview skills. I found the experience rewarding and would recommend this opportunity , and others such as the Princes Trust, as fulfilling and would recommend them to all who are interested. 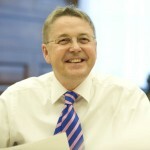 I have mentored a number of young people through the Princes Trust. It's so rewarding to see them succeed. And leading a team in DWP which has worked so hard to help young people through Movement to Work just puts a smile on my face every day. As somebody that has been a Movement to Work Team leader in Stockton Group I feel that the MtW initiative is very beneficial to the placements, the business and myself. The calibre and enthusiasm of the MtW placements that have so far been involved has been incredible. To see shy individuals come in on day 1, and by the end they have developed themselves and others by working as part of a team, leading, communicating, coming up with fresh thinking ideas and coaching other placements is so refreshing and rewarding. On a personal point of view the standard of IT skills that they bring with them in this digital age for HMRC is a huge benefit as they are passing these on to HMRC employees on a daily basis and throughout their placement. I know that many of the placements have gone on to secure full time employment as they take the time to write in and let us know. A number of the placements have also been successful in securing full time employment within the Civil Service. I would endorse what has already been mentioned and recommend anybody that is interested in the MtW to go ahead and Give It A Go. I regularly mentor the Movement to Work placements and after being encouraged by a colleague who had been heavily involved in the scheme I took their advice and got involved with the mentoring. I found the experience to be very rewarding and I can honestly say that the placements have been a joy to work with. To see them develop from their initial nervousness, to being genuinely interested in the various workloads they have been mentored on and then to see that a number of the placements have requested that they be allowed to come back to work again on a process that they found enjoyable. They have also demonstrated their exceptional IT skills and have quickly established an excellent reputation as the Go To team for any special projects within the office from Senior Management down to AO level. On a personal level, and after listening to feedback, the benefit that the Stockton office has gained from the MTW placements in relation to fresh ideas, forward thinking, excellent quality results and efficiency has made the initiative very worthwhile. It is also a great pleasure when we hear that after their time with us, a high percentage of our placements have secured employment.